At any ground, the atmosphere on any FA Cup day is more highly charged than usual –Every half-chance is greeted with more anguish, every near miss by your foe cuts deeper than normal. Book your FA Cup tickets securely with WoWtickets.football and enjoy the electrifying atmosphere of the match. The preliminary rounds are held in August through October. The FA Cup proper begins with the first and second rounds in November and December. The third round where the Premier League and Championship clubs join the competition, is held in January as is the fourth round. The fifth round is in February with the quarter-finals in March. 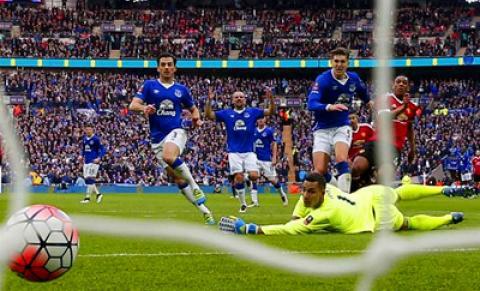 The FA Cup semi-finals are held at Wembley in April with the FA Cup final, also at Wembley, held in May. This is winner takes all football with no redemption from mistakes. Take the previous season FA Cup, supporters of Chesham United can tell you all about that – their win at Bristol Rovers in the first round brought the same joy as Oxford supporters felt when they beat Swansea City in the third round or as Reading felt in the fifth round when they were too good for West Bromwich Albion. 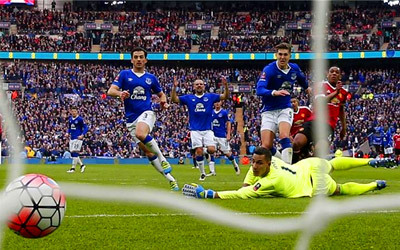 Chelsea thumped Manchester City 5 – 1 before losing at Everton whilst Manchester United went all the way having beaten the Toffees in the semi-final. Arsenal had won the FA Cup in the previous two seasons and have something to prove this time around having tamely surrendered to Watford when Wembley beckoned. Eyes will be on Pep Guardiola and Antonio Conte, Jose Mourinho and Jurgen Klopp. New clubs or experiencing the drama for the first time makes no difference – they are expected to win. They want to win, to lead their teams out at Wembley and follow in the footsteps of many famous managers before them. For all competitions in general but for FA Cup in particular – ticket prices will fluctuate according to supply and demand. It really depends of which teams will make it to the FA Cup semifinals and how much “heat” the combination of teams will create. For sure our recommendation is not to wait for the last minute and book your tickets on time. When did the FA Cup Start? The first FA Cup competition was held in 1872. 15 teams entered, none of which are involved in the English professional game today. Queen’s Park from Glasgow play in the Scottish League. The first winners of the FA Cup Were Wanderers in 1872, beating the Royal Engineers 1 – 0 at Kennington Oval in London in front of a crowd of 2,000 people. Arsenal and Manchester United have both appeared in 19 FA Cup finals and share the record of 12 wins. Leicester City hold the unwanted record of reaching four finals and losing them all whilst Everton have lost the most finals, 8 in all. The FA Cup has many seen many dramatic moments down the years. Giant killing has a rich history in the competition when non-league teams have found a moment of glory. Tottenham Hotspur are the only non-league club to win the FA Cup in 1901 (before they joined the Football League) and many big sides of the day have suffered ignominy at the hands of smaller clubs. The biggest shock came in 1971-72 when non-league Hereford United went to First Division Newcastle and forced a replay at Edgar Street. With seven minutes to go, the Magpies led 1 – 0 but two goals, including a spectacular Ronnie Radford drive from twenty-five yards saw Hereford through 2 – 1. In finals, 1973 saw Second Division Sunderland beat First Division Leeds United, 1 – 0 thanks to an Ian Porterfield goal. The final is best remembered for a spectacular double save from Sunderland goalkeeper Jim Montgomery.